There won’t be any time better if you want to switch from AT&T to Verizon as Verizon is not only making it easy, but also tempting! Verizon is offering to trade in your old AT&T iPhone for a brand new and shiny Verizon iPhone. 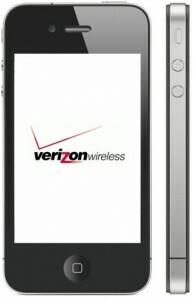 Hang on, gets even better, Verizon is also offering over $200 for some select AT&T iPhone devices. For instance, Verizon says for an 8GB iPhone 3GS will get you $60, a 16GB iPhone 4 will get you $212, and a 32GB iPhone 4 will go for $285. Verizon will give back the money in the form of a Verizon Wireless gift card and is shipped free. You may want to hurry as Verizon says the prices that it is offering will shift depending on the market value of your products. If you were looking for more cash back for your trade, you can also use E-Cycle which is Verizon’s recycling partner who offers a little more cash than Verizon. Other recyclers include Gazelle or CellForCash.com.